Class A & Class B paper shredders are highly secure shredders that are required by most Government departments and often called SCEC Endorsed or SEG Certified. To be classed as Class A or Class B, these paper shredders have been put through and passed additional testing. They are for destroying highly classified information. 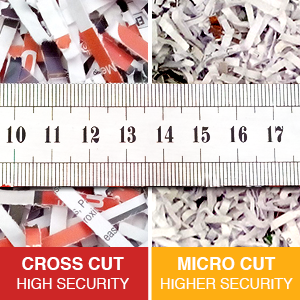 If you have any questions about Class A & B high-security shredders, contact us here or call 1800 874 733.